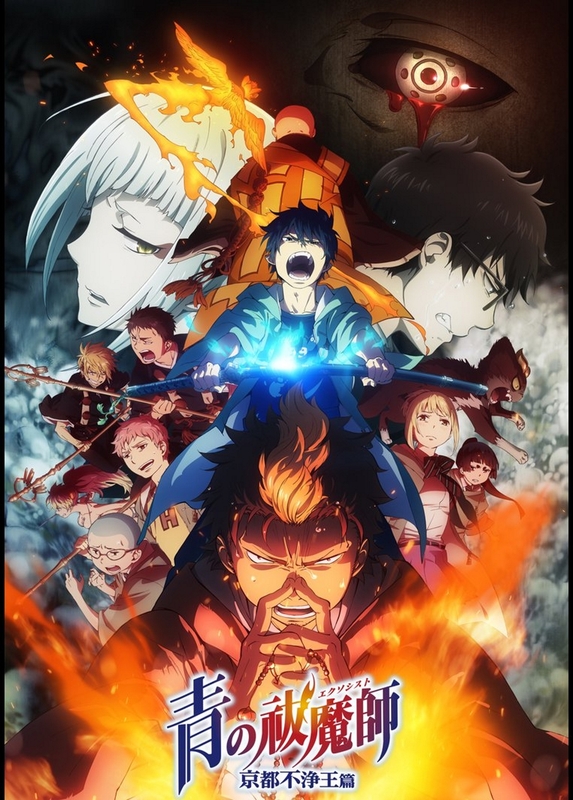 Blue Exorcist: Kyoto Saga is the second season of the Blue Exorcist series, read our review for the first season here. This season started airing six years after the first; beginning just several days into January and finishing in late March. The story follows Rin and the other students of the True Cross Academy as they enter the next chapter of their life. It has just been revealed that Rin is, in fact, the son of Satan causing all of his friends to reconsider their trust in him. However, they will have to learn to deal with this new fact quickly as it is not long until they are sent off to Kyoto to guards a cursed artefact; the right eye of the Impure King, after the left eye was successfully stolen from the academy’s Deep Keep. My Review: On the surface, this show looked really cool. It had a great returning cast of many characters, many of whom play a more active role this time around. The issue with it for me was the plot, personally, I found it to be very dry and uninspired. There were many moments where I could tell it was trying to create a lot of emotional tension, but it just didn’t really go anywhere. That being said, the last few episode were actually really great with some brilliant fight scenes. To be honest, I don’t really remember a whole lot of what happened in the previous season so its hard to really say how well this compares, but I do feel like it just lacks the kind of character of the first season had. One thing I have to note is that it has a top-notch opening with some spectacular visuals. All in all, I thought the season was a little disappointing but definitely not the worst.